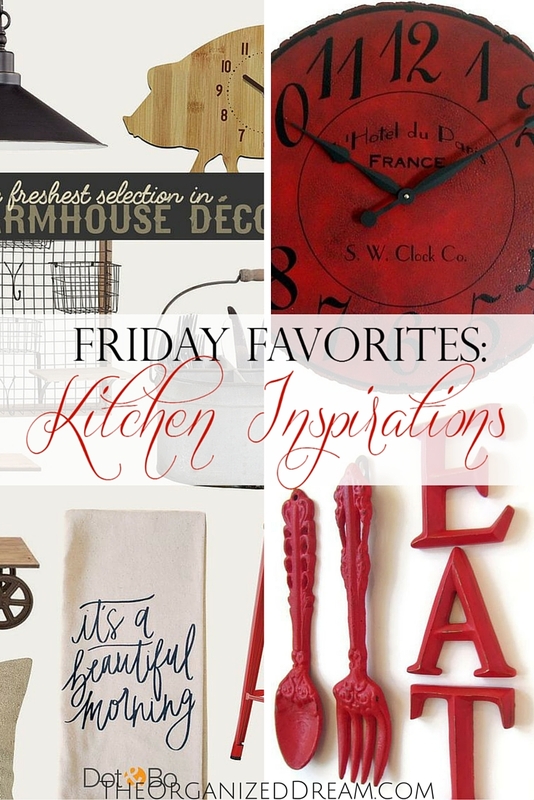 It's the end of February and it's the end of my month long inspiration Friday Favorites. This week, I wanted to share some great ideas I had to incorporate into my kitchen. I'm not looking to paint the cabinets or update the furniture. It's just basic accessories here. Enjoy! 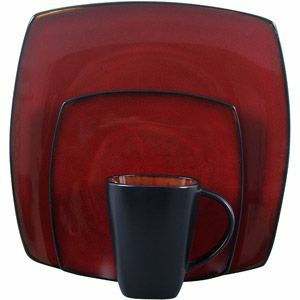 Red and black are the key colors here because my kitchen is so bright, I can pull it off. What I want to do? Let's see what I'm thinking. I like these funky printables. They're cute and whimsy. I like the fact that they are in a chalkboard style so they're modern, too! I like a little farmhouse. Not a lot. A little. I like some of the designs and styles. This site here features a lot of what I like. Think you will too? Check them out. I really like the fork and spoon look. 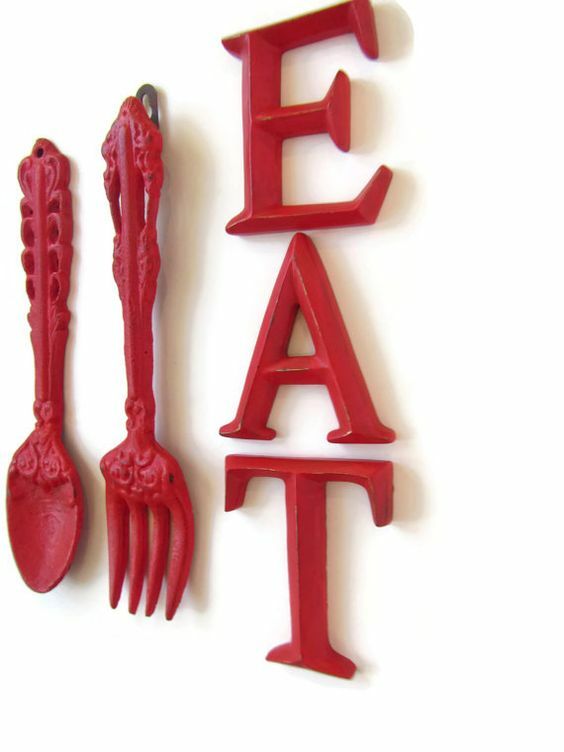 I like the EAT word also. I want to eventually figure out a great gallery wall look because I have a big wall to cover. My sister has this dishware set and I like to colors. They're pretty durable, too. She's had hers for a while. 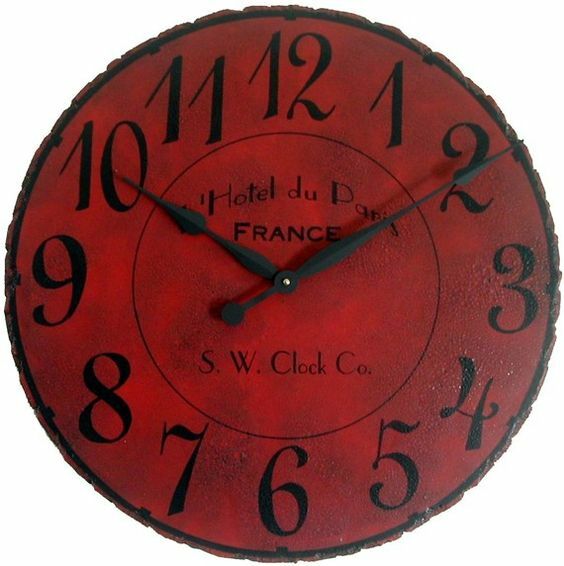 I like the look of this clock, but not enough to pay $94. Maybe I can find one that is similar and cheaper.